The Action Plan for Conservation of the Red-breasted Goose in Bulgaria developed by the Bulgarian Society for the Protection of Birds (BSPB), was officially approved only two days ago. The Plan includes conservation activities and priorities for a period of 10 years (2018-2027). 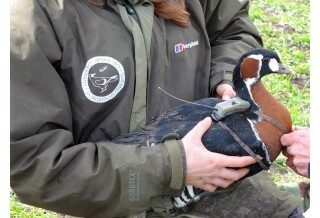 The aim of this document, approved by the Ministry of Environment and Waters, is to contribute to the improvement of the status and trends of the wintering population of the Red-breasted Goose in the country through a set of measures and activities to ensure appropriate and optimal conditions for the staging and winteringg of the species in our country. An extremely important part of the plan are the measures and activities included in it, whose realization would help to minimize the impact of the limiting factors. In the development were used data and results from studies and monitoring work on the Red-breasted Goose as part of the BSPB long-term program for the study and conservation of the species since 1995, also specific species surveys carried out within the project "Secure Winter for Red-breasted Goose ", co-funded by the EU's LIFE Program, within which the current plan has been developed. The official action plan for conservation of the Red-breasted Goose is available on the website of the Ministry of Environment and Waters. Bulgaria is a key country for the conservation of the Red-breasted Goose and the wintering of its world population. In the Dobrudzha region, 70-90% of the global population of the species is currently concentrating for various periods of time. The current population estimate is up to 56,000 specimens (Wetlands International, 2017). 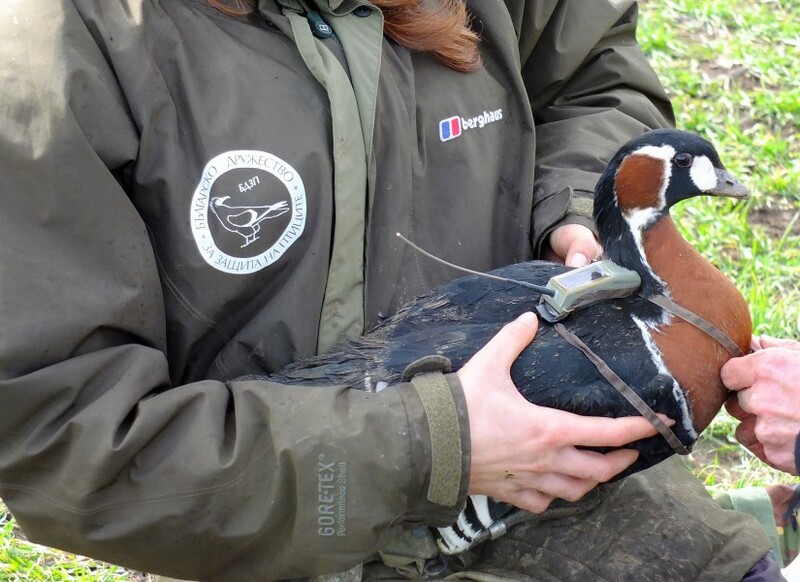 Conservation work on the species continues today as part of the international flyway project "Conservation of the Red-breasted Goose along its Flyway", implemented by BSPB with the participation of 10 partners from 5 key range countries and co-funded by the EU LIFE Program.